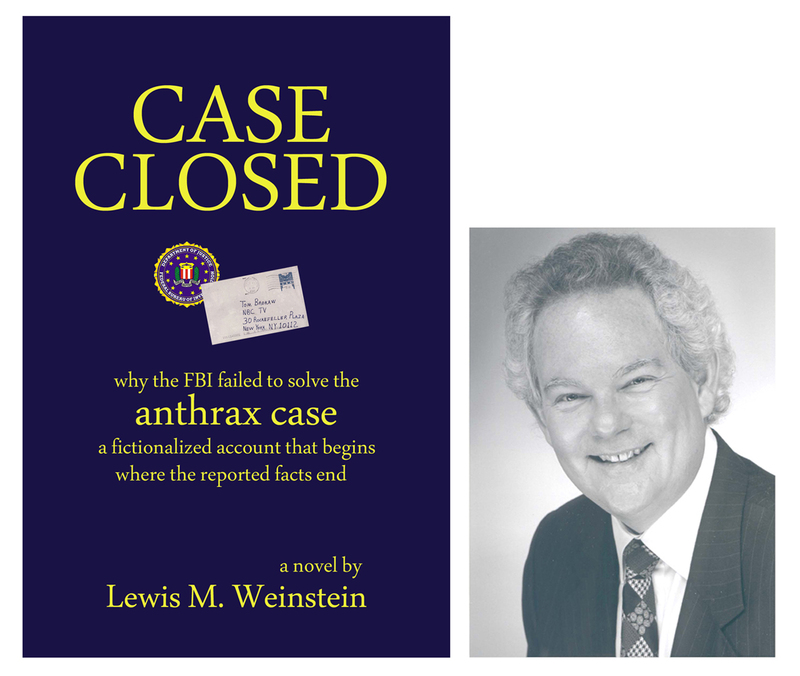 2011 January « CASE CLOSED … what really happened in the 2001 anthrax attacks? 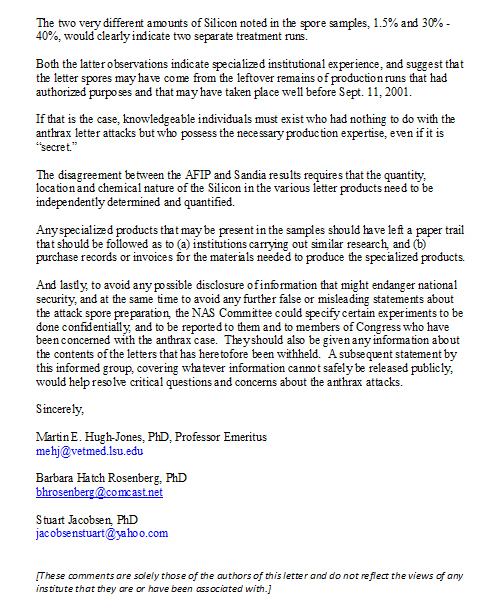 * Where is the missing anthrax made by Dr. Ivins’ lab assistants? are FBI and NAS fighting or colluding? The following topics were discussed in the closed sessions: The committee discussed the drafting of its report. 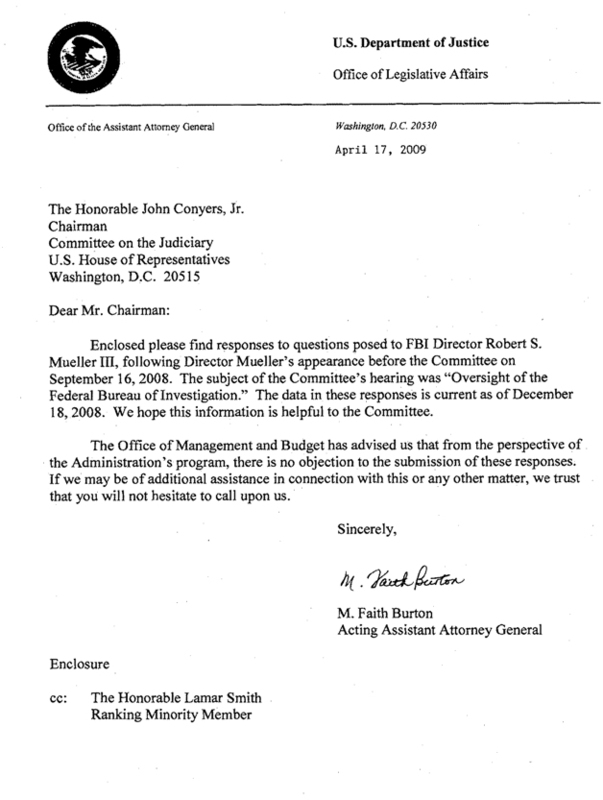 The following materials (written documents) were made available to the committee in the closed sessions: The committee reviewed documents made available to it. 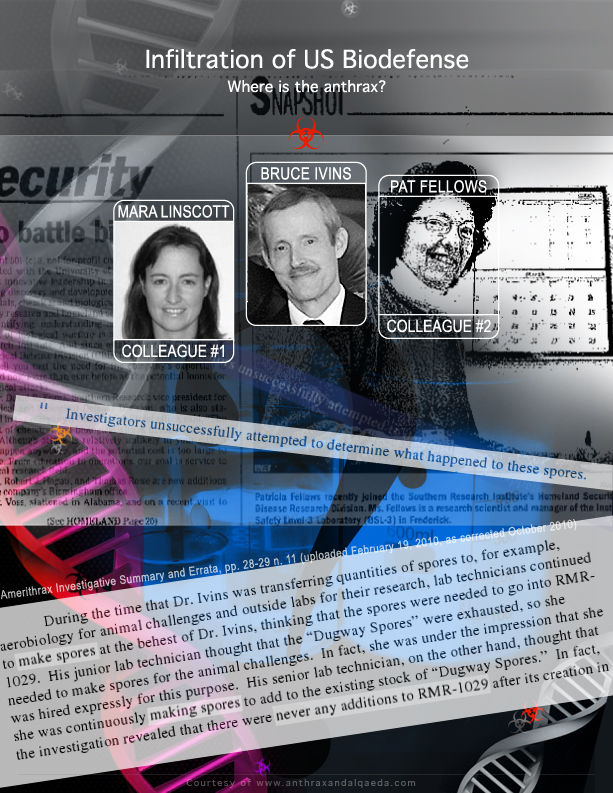 The FBI are set to try to persuade the NAS anthrax committee to modify their initial findings in their draft report of the FBI’s science used to accuse Bruce Ivins of the attacks. This was to have taken place in a secret, closed-door session in Washington DC on Friday January 14. 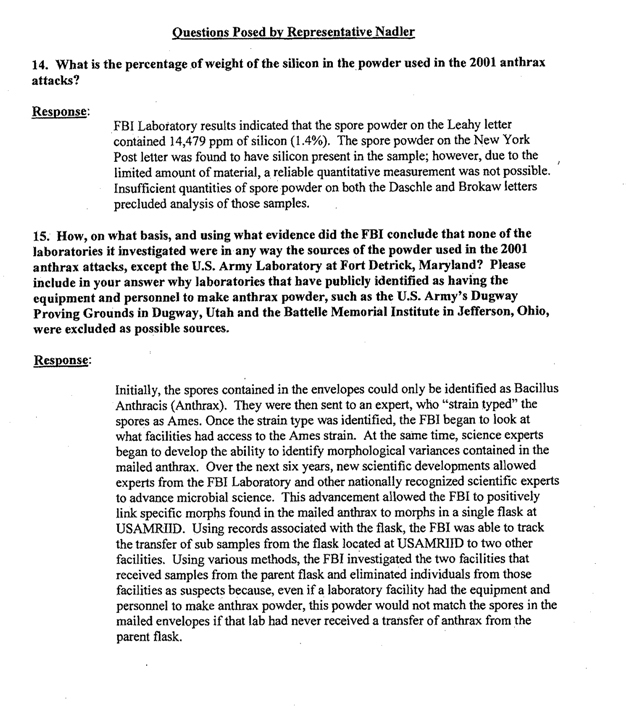 One glaringly obvious science error the FBI have made is their claim that there was not enough sample in the New York Post powder to determine the amount of silicon present. 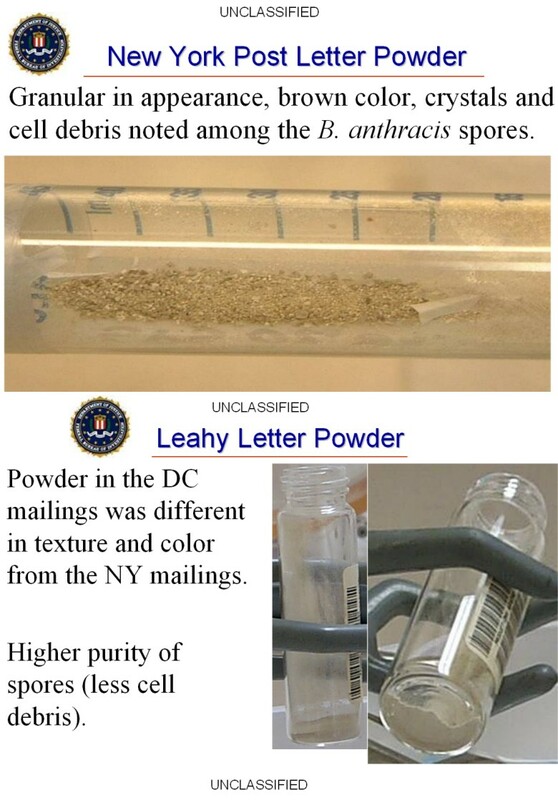 Indeed the FBI had contracted Pacific Northwest Labs (part of Battelle) for the Amerithrax investigation. Although the FBI labs never publicly revealed exactly what role they played. However, Pacific Northwest Labs demonstrated in 2005 that accurate quantitative Elemental Analysis can be performed on bacillus spores with samples as small as one nanogram (one nanogram is one thousandth of one millionth of a gram). in the New York Post powder. of ALL THE DATA collected by the FBI. 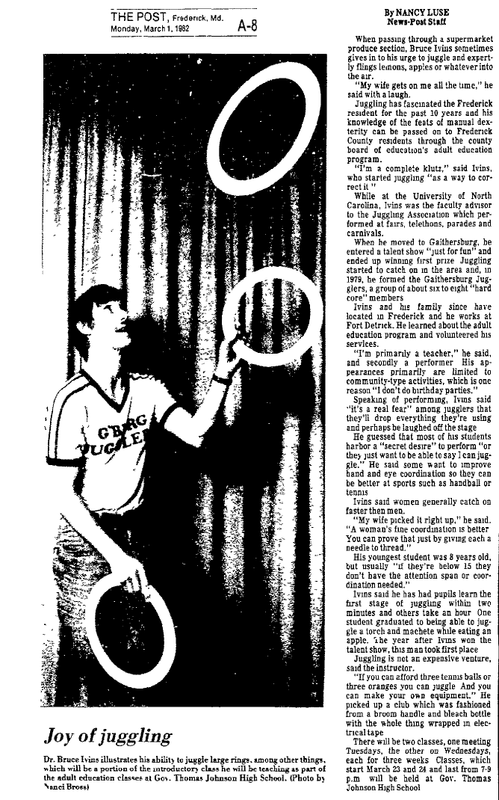 * Was There A Connection Between Pearl Kidnapping and Anthrax Planners? 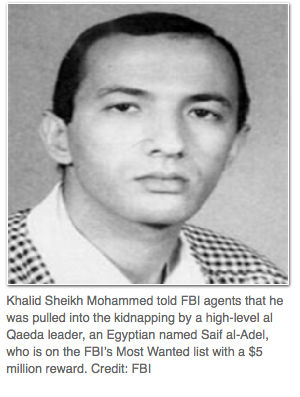 A new report on the Pearl Kidnapping points to the point role of Egyptian Saif al-Adel in encouraging KSM to make it an Al Qaeda operation. It has previously been reported that a Karachi businessman Saud Memon owned the nursery where Pearl had been held captive and allegedly had been in the room for discussion relating to anthrax planning. Was there a connection between Pearl kidnapping and anthrax planners? Was Saif Adel involved in Al Qaeda’s anthrax planning along with Ayman Zawahiri, Mohammed Atef, and KSM? 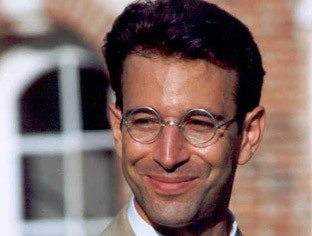 WASHINGTON (AFP) — A Pakistani businessman suspected of playing a role in the brutal 2002 killing of American journalist Daniel Pearl died earlier this year, shortly after being interrogated by US and Pakistani intelligence, The Wall Street Journal reported Monday. Pearl, a Karachi-based correspondent for the Journal, was kidnapped on January 23, 2002, and killed execution-style shortly after. The newspaper said Karachi businessman Saud Memon became a key suspect in the case because he owned a nursery where Pearl had been held captive. Citing an unnamed senior US law enforcement official, the report said Memon was interrogated by both US and Pakistani intelligence services. 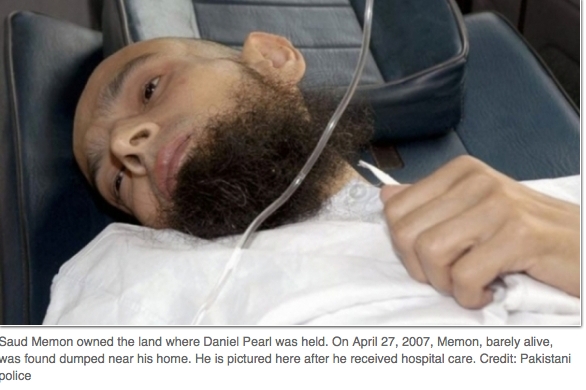 The interrogation produced information that Memon was helping Al-Qaeda develop anthrax strains, the newspaper said. But Memon’s family members and human rights groups said that in April, the businessman was left in front of his Karachi home badly injured and emaciated, weighing just 80 pounds (36 kilograms), according to the report. About a month later, he died from what was described as complications from meningitis and tuberculosis, the Journal said. 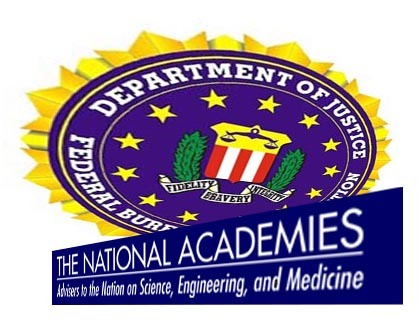 title: Shall the environmental monitoring science of the FBI’s “Amerithrax” investigations be within the scope of the NAS/NRC “…Anthrax Mailings” Project’s inquiries? 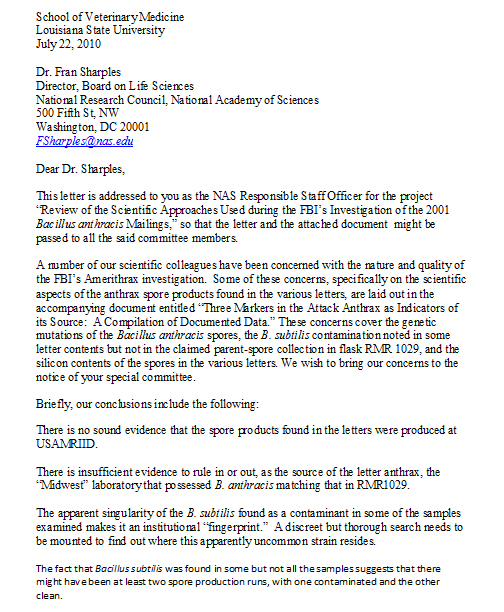 title: Your appointment to the NAS on anthrax inquiry. 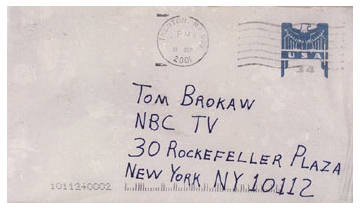 * Terrorism Task Force investigating fiery packages … what, if anything, can be gleaned from handwriting analysis? DXer reports … An FBI task force has taken over the investigation of fiery packages that were sent last week to federal and Maryland government officials. 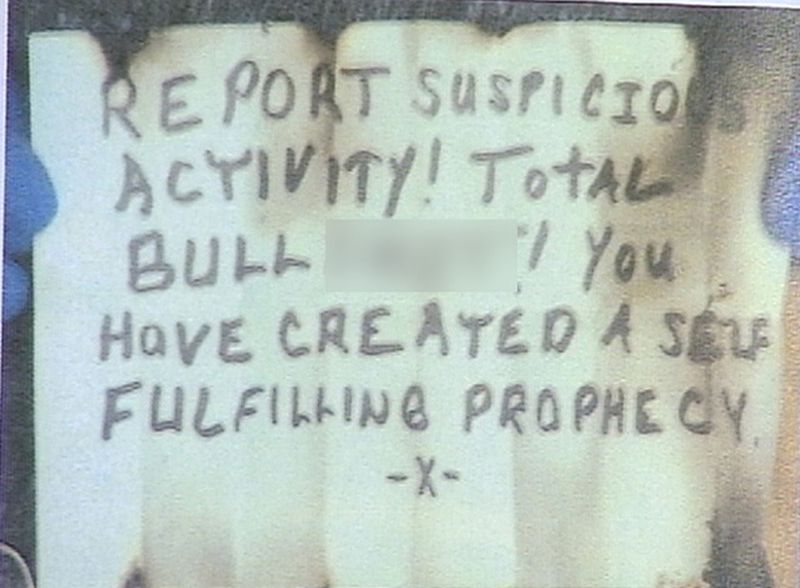 The Maryland Joint Terrorism Task Force is now leading the probe. What, if anything, can be gleaned from handwriting analysis about the recent incendiary letters sent to the Maryland Governor, Maryland Department of Transportation Secretrary, and United States Homeland Secretary Napolitano? the FBI faces a difficult test. Suppose the attacks were an inside job–by, say, one of the U.S. Army’s own biowarfare scientists. What scientific authorities could the FBI turn to if it’s effectively investigating the very labs that do its testing? “There are really only a few places weapons-grade anthrax could have come from, including Dugway [Army Proving Grounds in Utah], Fort Detrick, and other labs contracted by the military,” said David Fidler, a University of Indiana law professor who has written about the legal implications of biological terrorism. In fact, the FBI has hired some 20 expert consultants to assist with the anthrax investigation, and most of them belong to the government bio-defense establishment. even as some FBI investigators set up shop at USAMRIID, working side by side with scientists to trace the source of the anthrax, another FBI team descended on Fort Detrick in February to question lab employees about suspicious activity they might have seen–and to administer polygraph tests to those with access to suites where anthrax and other deadly germs are handled. But here the FBI has hit a particularly baffling roadblock. The bureau’s investigators are not confident that other government agencies, such as the CIA and the Department of Defense, have let them in on the full range of bio-defense work they have commissioned. FBI investigators may not have the top-level security clearances that would allow CIA or Pentagon officials to disclose all they know. of mutual distrust and bureaucratic red tape. If the FBI can’t investigate the U.S. bio-defense establishment, who can? 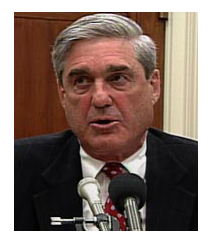 This 2002 analysis by Laura Rozen emphasizes the likelihood, now nine years later, that the reason the FBI has charged Dr. Bruce Ivins as the sole perpetrator without presenting the evidence to actually prove the case is the result of a coverup of the true perpetrators, perhaps by the FBI, perhaps by others in our government. 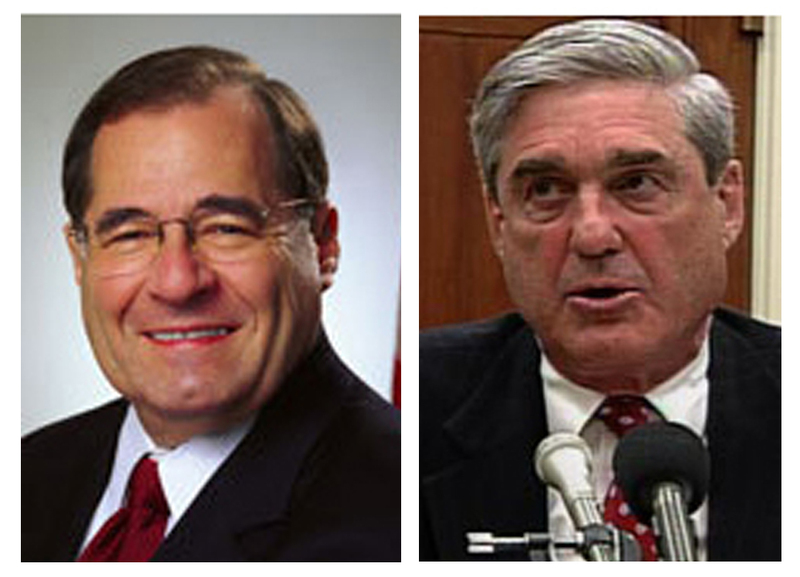 The FBI may or may not know who the real perpetrators are. It’s for sure that the American people don’t know.